Wouldn’t it be funny if there were more Blackberry PSDs than actual users of Blackberry? Just kidding, there are tons of BlackBerry users here in my country. 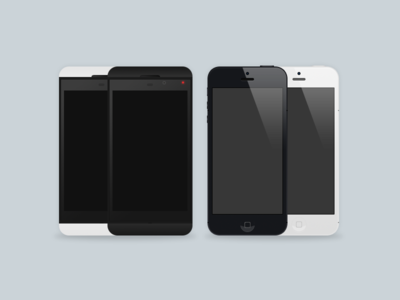 iPhone and BlackBerry Z10 PSD is a free Mockup design resource made by Dribbble user Samuel Boothby. As far as I can tell, its license is Unknown.